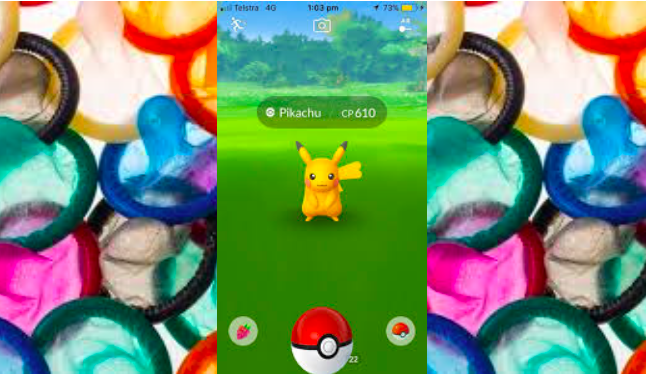 Campaigners have taken inspiration from the mobile game Pokemon Go create a Smartphone App that helps people hunt down free condoms. According to the United Nations, the Philippines has registered the fastest-growing HIV/AIDS epidemic in the Asia-Pacific region, with a 140-percent jump in new infections between 2010 and 2016. To tackle low condom use, activists have invited restaurants and shops to install free condom dispensers. These can then be located using the new app, in the same way that Pokemen hunters would track down the colourful characters such as Pikachu. The Safe Spaces project, led by Save the Children and campaign group LoveYourself, has already set up 30 dispensers in Manila and aims to expand to 150 locations across the country this year. Speaking to Reuters, LoveYourself founder Ronivin Pagtakhan said: “It’s like Pokemon Go when you run out of Poke Balls, you need to refill at a nearby station. At Safe Spaces, you can see the nearest stations where you can access free condoms. The Philippines has seen rising rates of HIV, even while it continues to fall in other parts of the world. Most cases were transmitted through sexual contact and two out of three new HIV infections were among 15 to 24-year-old men, according to Philippine health authorities. The battle to control the spread of sexually transmitted diseases, as well as limit spiralling population growth, has long been hampered in the Philippines due to opposition by the Catholic Church. Last year, a plan to distribute condoms in secondary schools met fierce clerical opposition, and was abandoned, despite strong support of President Duterte, who has frequently criticised church authorities. The post Pokemon Go Inspires Smartphone App to hunt down free condoms appeared first on Philippines Lifestyle News.